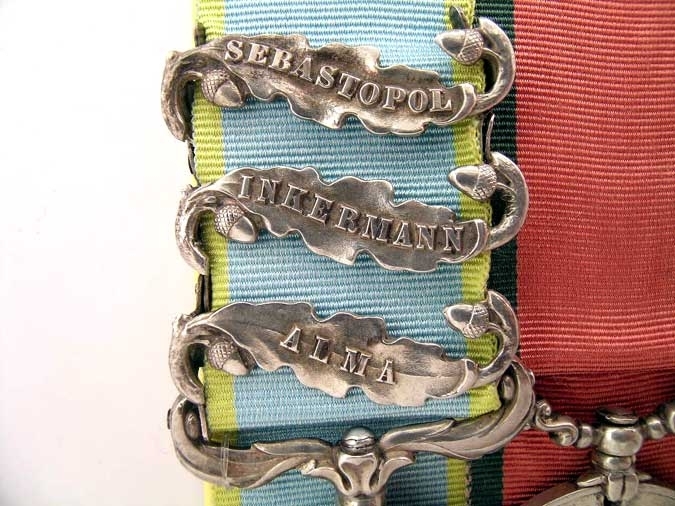 Pair of medals: Crimea Medal, CLASPS "ALMA, INKERMANN, SEBASTOPOL", officially impressed: P. LAFFERTY, 1ST. BATN. RIFLE BDE. 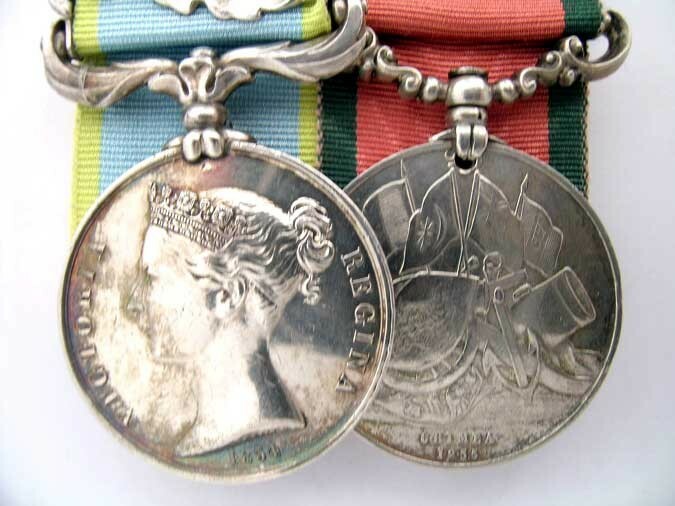 ; Turkish Crimea Medal, unnamed, British issue, both medals nearly extremely fine. 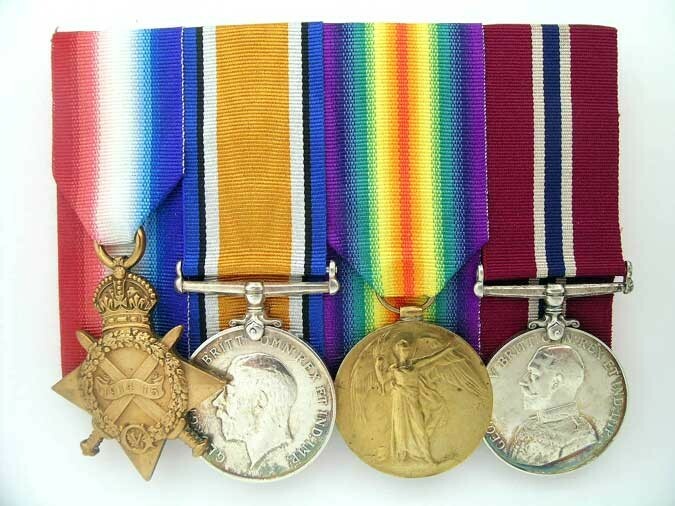 Group of four, comprising: 1914-15 Star, impressed: 5688 GNR. 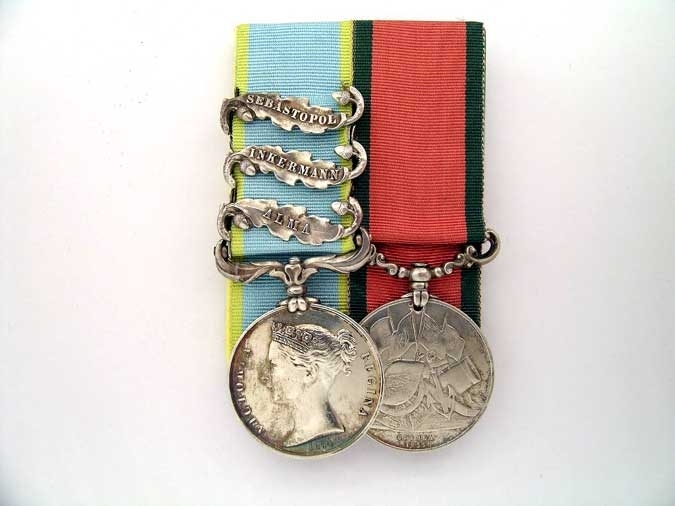 W. LAFFERTY, R.CAN.H.ART; British War and Victory Medals, impressed: 5688 GNR. 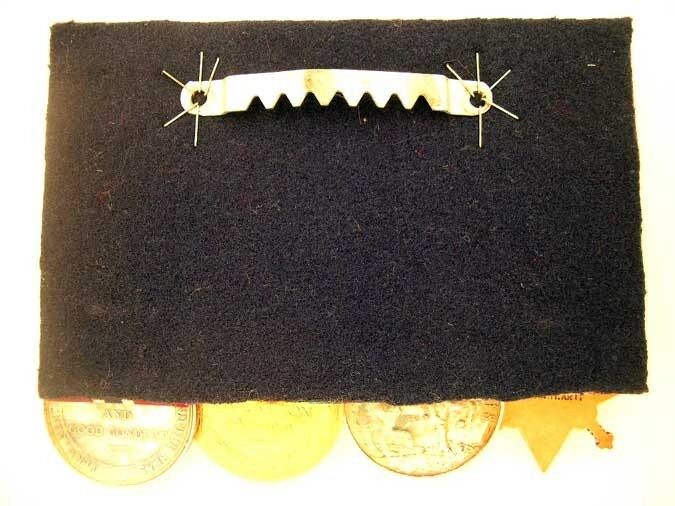 W. LAFFERTY, R.C.H.A. ; Permanent Forces of The Empire Beyond the Seas LS and GC medal, impressed: GNR. W. LAFFERTY, R.C..H.A. Good very fine condition. Un researched.